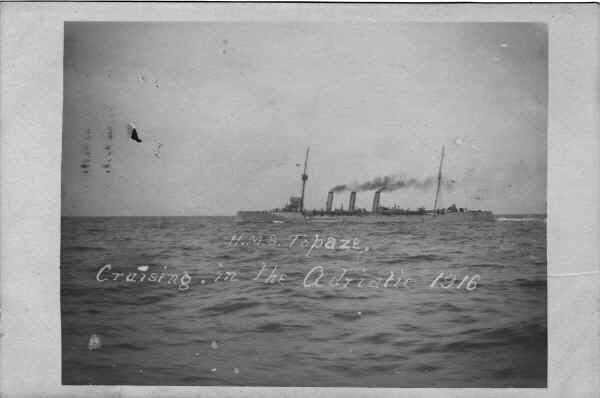 Here we see the Gem class cruiser HMS Topaze cruising the Adriatic during 1916. The Topaze was one of a number of Royal Navy ships that operated with the Italian Navy in 1915-16. Thanks to Karen Adams for the picture.